View More In Charger & Service Plates - Page 2. Add elegance to your table and enhance your dinner experience with this Charge it by Jay Charger Plate. This plate makes the ideal addition to wedding receptions, anniversary parties, and other celebratory occasions with an eye-catching design and glamorous color. It's great for fine dining establishments and intimate eateries too! 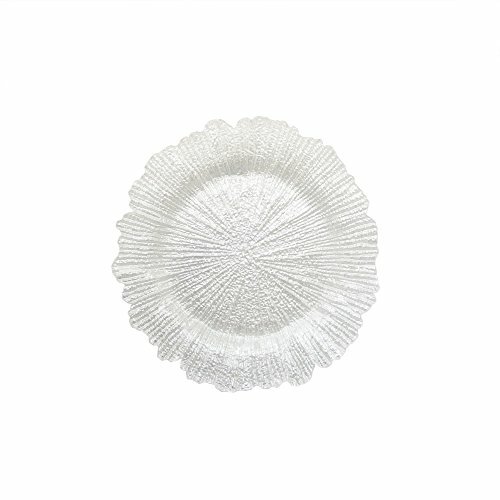 Made of solid glass, this beautiful charger plate brings an upscale look and feel to your dining experience. If you have any questions about this product by ChargeIt by Jay, contact us by completing and submitting the form below. If you are looking for a specif part number, please include it with your message.